The shift of ad dollars from TV to online video has been largely impeded by one factor: reach. Until now. The coupling of YouTube's intent-driven user behavior with Facebook's "Super Bowl-sized" daily reach presents the largest threat to TV to date. The online video narrative has been fueled by the pitting of YouTube and Facebook against one another. Sure, drama makes for better ratings, but rather than succumb to this supposed conflict, we executed systematic A/B tests of identical creative and targeting on both platforms to set the story straight and provide deep insights into the respective strengths of video advertising on YouTube and Facebook. The results prove that the two platforms serve different but very complementary roles. The combination of video advertising on both YouTube and Facebook is the key to dismantling TV's media spend dominance. YouTube's TrueView ads on average deliver a much higher view rate and video completion rate (up to four times higher) than Facebook. The ability to target contextually for ad placements (e.g., by channel or video) has a measurable impact on video completion rates and audience retention—we've seen 1.5 times higher view rates when using placement targets (targeting specific channels) compared to standard affinity targets. YouTube also offers a lower cost per view in an apples-to-apples comparison of TrueView-style :30 plus (or whole ad) views. Sure, Facebook's advertised :03 views are cheap, but most advertisers are rightfully skeptical about the impact of such a short exposure. Facebook video ads, on the other hand, drive clicks and higher clickthrough rates than YouTube, and overall they lead to higher user engagement rates in simple interactions (likes, shares), given the social nature of the platform. While TrueView offers several interactive elements like info cards and companion banners, Facebook's interactive elements are simpler and easier to understand, and take up significantly more screen real estate, making it easier for users to interact. Google and Facebook offer near-perfect cross-device user data (and targeting capabilities), which is essential as mobile video viewing keeps growing. As marketers segment budget across platforms and devices, the cost efficiencies of each platform are important to understand. On Facebook, mobile ads tend to be cheaper than desktop (75 percent the cost in our tests). On YouTube, mobile ads are more expensive than desktop (130 percent the cost). Cost per view on mobile is comparable between Facebook and YouTube, and for clickthrough rate-driven campaigns, 30-second assets on mobile perform best across both platforms. The reach of Facebook plus the long watch times driven by intent on YouTube equals better engagement and campaign performance when both platforms are used in combination. It's an equation that will prove to even the most TV-loyal advertisers that they're resisting budget allocation to a supremely effective medium. The equation starts with amplification. Facebook reports a Super Bowl on mobile in the U.S. every day, a reach that was previously the holy grail of TV advertising. 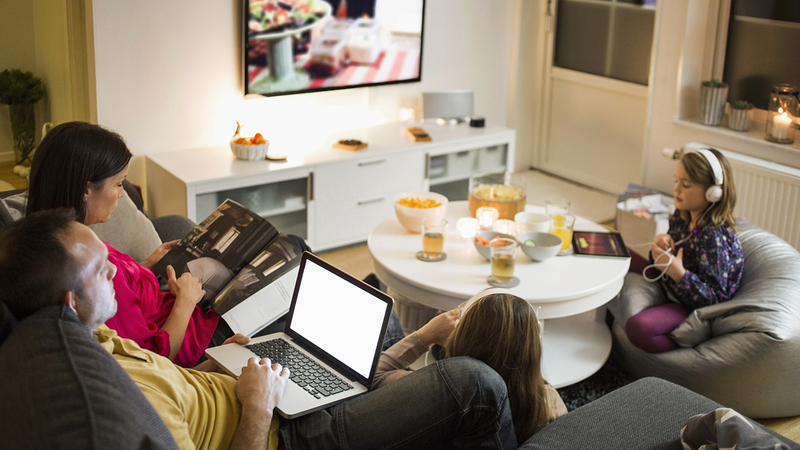 Take that reach and add the fact that cord-cutters and cord nevers are increasing their daily time spent online and decreasing linear TV viewership. But Facebook and YouTube aren't just about those elusive millennials—all target demos are increasingly spending time on both platforms. Mature beauty (content made for the 45-plus female consumers), for example, is one of the fastest growing segments in the beauty space on YouTube. After amplification, brands must engage consumers deeply where they're making brand decisions—on YouTube. Consumers turn to YouTube for research during the buying process before moving to Google search for immediate transactions. We consistently see better performance with longer form assets using skippable TrueView prerolls because ads can be granularly targeted and users are choosing to watch them. It goes without saying, the more targeted the ad, the better the view rate and overall engagement. You can't achieve this with the blanket reach of TV. So what does this mean for marketers? Resist the video battle hype and start looking at the online video ecosystem through a holistic campaign lens. Consider the implications each premium video platform has on the entire buying cycle: amplify on Facebook and drive clicks, then anchor your audience on YouTube and take advantage of high audience retention as consumers explore content and make brand decisions. Cross-platform online video campaigns—with the reach of TV and the engagement of digital—are the future of brand advertising. Andreas Goeldi (@agoeldi) is the chief technology officer at Pixability. Adweek, in partnership with Pixability, will host a full-day Executive Lab in New York City tomorrow (Nov. 12) focused on how YouTube and Facebook are informing and shaping video content and marketing.